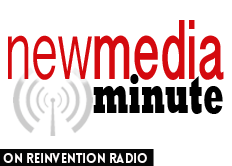 In this episode of New Media Minute, New Media Summit Icon of Influence, Doug Sandler, joins the Reinvention Radio Crew for a discussion on what he loves about new media. He shares that podcasting is a great space to be in. Let creativity be your master.